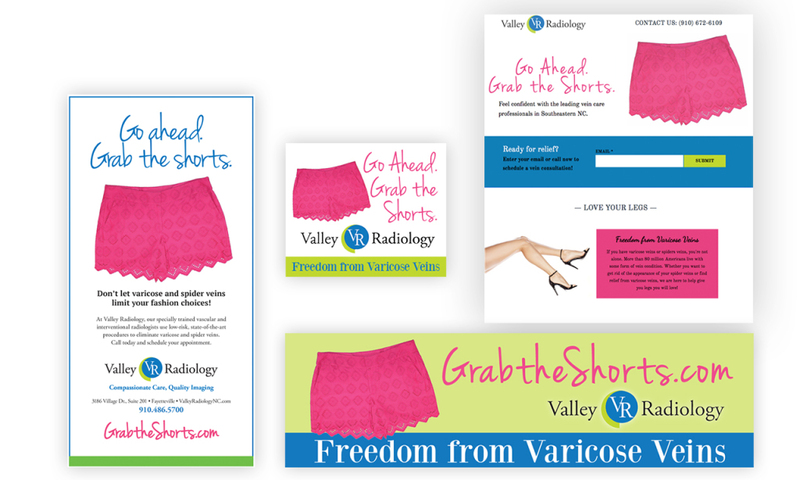 As part of their full range of radiology services, Valley Radiology offers advanced care for varicose and spider veins, using highly effective, minimally invasive procedures that alleviate pain and restore good looks. To promote these services by the leading vein care professionals in southeastern North Carolina, Hodges developed a landing page and online ad campaign with the theme “Grab the Shorts.” This theme was tied into coordinating TV (see BROADCAST), print and outdoor ads. A unique URL for the landing page –Grabtheshorts.com – was purchased and included in all ads to re-emphasize the campaign theme and aid in delivering more accurate analytics tracking. 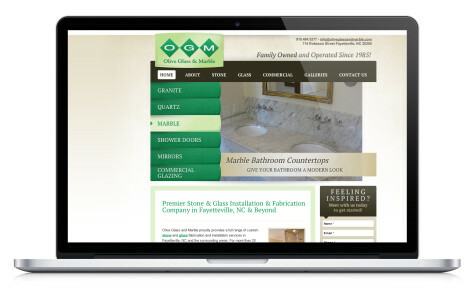 Having a unique url allows us to better measure the campaign’s effectiveness. 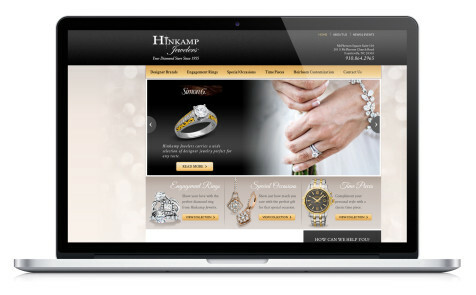 For Hinkamp Jewelers, a family-owned business in Fayetteville, we provided a new website that enhances the Hinkamp brand and highlights their vast product line, as well as their jewelry expertise and the exceptional service they provide. With a gallery of images to showcase favorites from the leading names and designer brands carried by Hinkamp, users can peruse the website to get an idea of what to expect in the store. 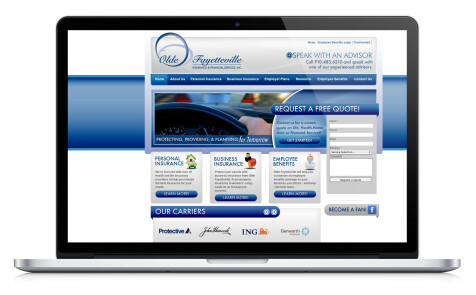 More recently, we converted Highland’s website to a responsive design. The site will automatically adapt to any size screen so it’s easily readable if “searched” on a mobile phone, tablet or other device. 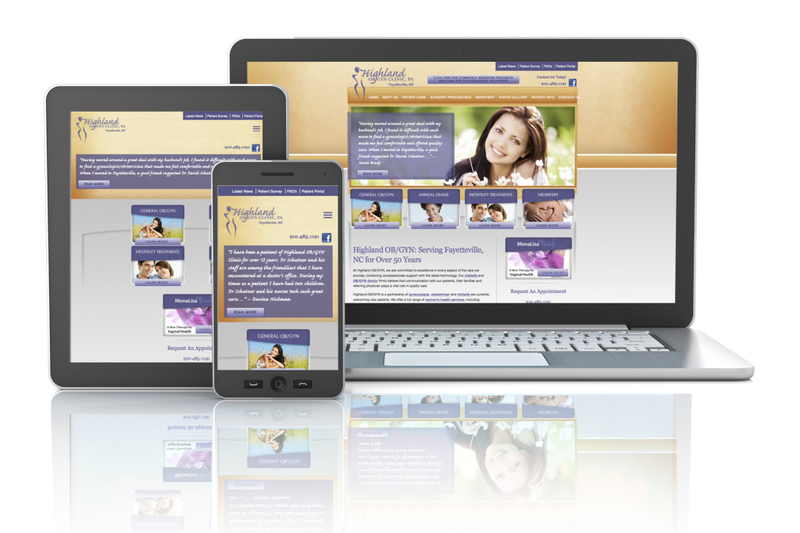 Gaining wider popularity because they help users avoid the frustrations of viewing/navigating sites on devices other than those with standard size screens, responsive-designed websites give companies a competitive edge. For Olive Glass and Marble, we designed a custom website with photo galleries that allow this family-owned business to showcase their best work online. 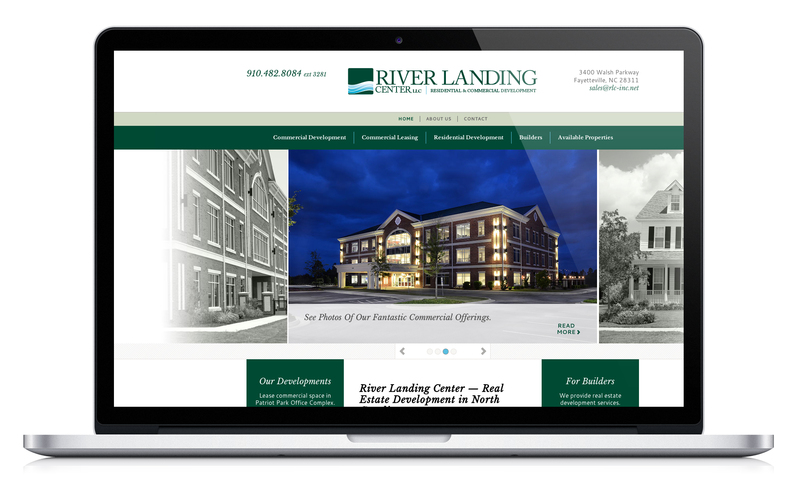 For this local commercial real estate group, we designed a custom website that makes it easy users to find what they’re looking for. By showcasing available properties and including an easy-to-use inquiry form, the website facilitates sales potential for River Landing Center. 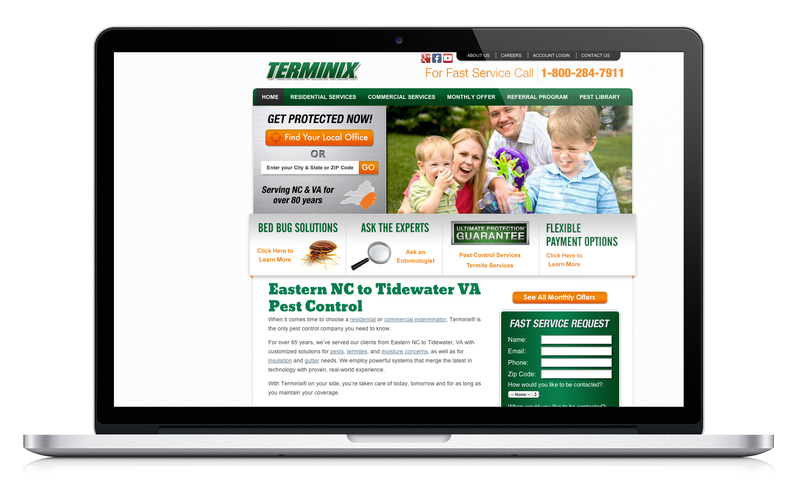 Terminix wanted a website that would take full advantage of the ways customers search for the services they provide. Using a responsive layout with lead generation forms that are easy on mobile devices, we delivered an exceptional user experience. Maybe they didn’t see the newspaper ad or hear the radio spot. 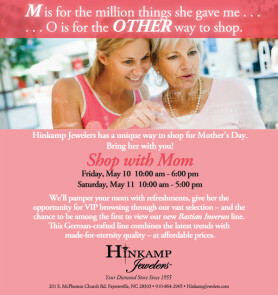 And even if they did, what better way to reinforce the fact that Hinkamp is the place to shop for Mom. 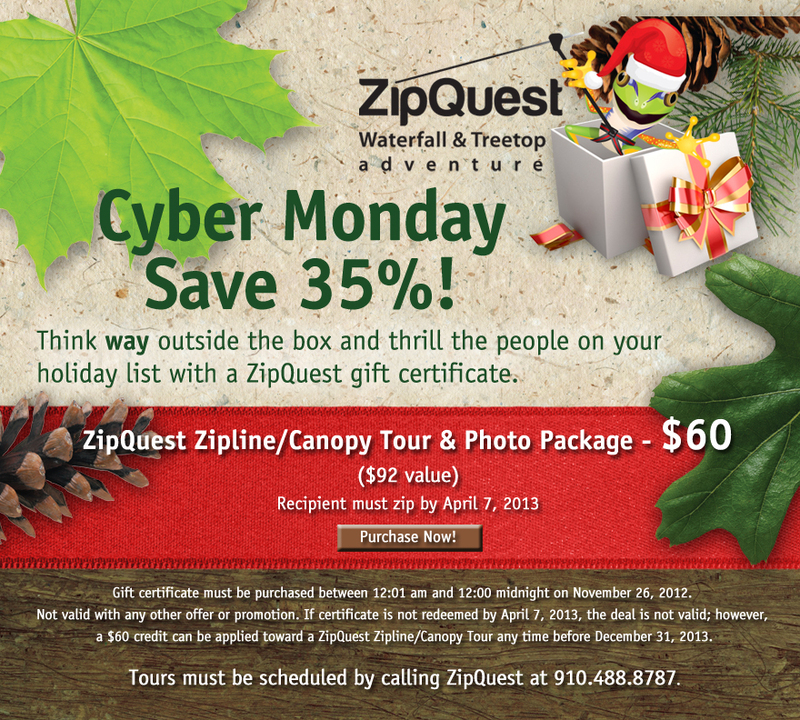 A strategically-timed “eblast” mailing, containing this ad, landed directly in the inbox of hundreds of potential buyers while they still had time to do their shopping.